The most amazing thing about having a food blog, is knowing the other food bloggers. Besides the food blogs in Singapore, I got to meet up with the KL food bloggers during my trip up north last year, and when I went for a holiday in Australia during December, the good Sydney food bloggers hosted and brought me around for the best food in Sydney. When Howard & Linda (eatshow&tell) told me that they were stopping-over in Singapore for a few hours before flying to Hong Kong, I knew that I had to bring them to have our famous Chili Crab. It’s a tough decision trying to choose a place, since there’s so many restaurants claiming to serve the best chili crab in Singapore. I finally decided on No SignBoard restaurant because it has always been one of my family’s favorite place for crabs. As there were 6 of us, the staff advised that we probably need two crabs, so our second choice was the Salted Egg Yolk crab ($40 per kg). It was an irony since No SignBoard is famous for their white pepper crabs in Singapore, but I’m not a fan of pepper. Besides, I know I want the salted egg yolk, and I wanted it immediately. You know, like now! Look at that, the golden cluster of the salted egg yolk! I licked off the salted egg yolk coat on the crab pincers, and it simply disintegrated. The sauce reminded me of the salted egg yolk in custard buns, both equally as good but this one was slightly saltier, and very fragrant. Hand over your passports, nobody leaves Singapore without trying Chili crab. Photogenic it is not, but in the mouth, one struggles for words, and everything is forgiven. There’s different renditions of Chili crabs, with each claiming to be better than the other; so how do you actually define what’s a good Chili Crab? I like it slightly sweet, and spicy. I like to dip my beloved deep-fried mantou into the thick and awesome gravy, pour a whole bowl of it onto the white rice and finish everything. Six deep-fried Mantou please, no wait, make it twelve. Okay, give us another six more. Oh those incredibly delicious, tiny devils. 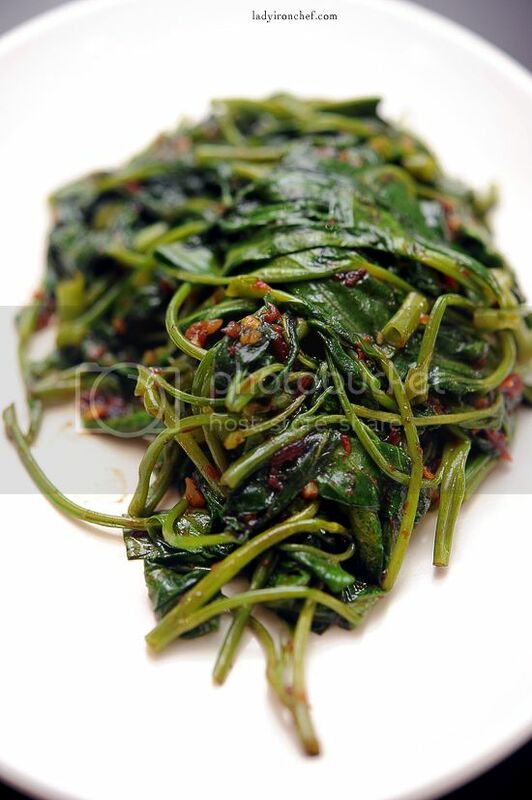 Coming from a poor chili eater, I find the Sambal Kangkong extremely spicy. Herein lies the question: do we like sambal kangkong because it is hot, or do we like it hot so we like sambal kangkong? Anyway, I like my sambal kangkong to be hot even though I can’t take chili very well. And the one here, is damn hot. 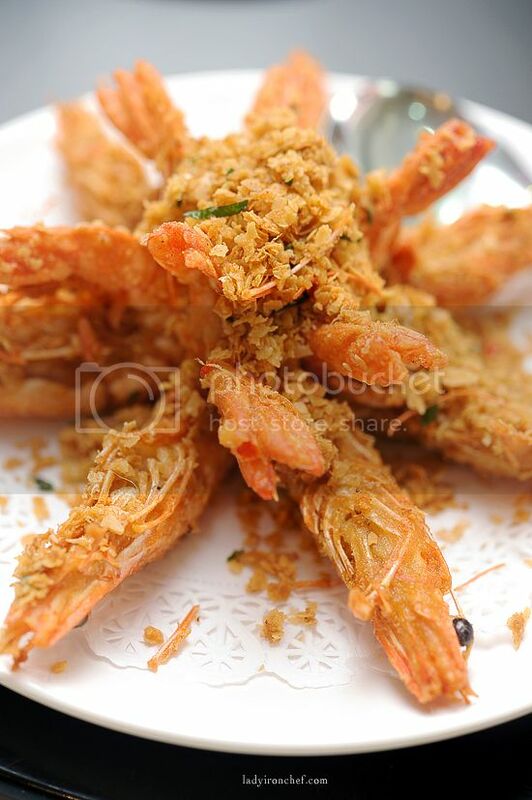 I’m not sure about you, but it seems to me that people always order Cereal prawns not so much because of the prawns, but rather they like the crispy cereals. I’m not going to talk about the niffy gritty part on how to peel a prawn, forget every single thing that I’ve said – just swallow the whole prawn. 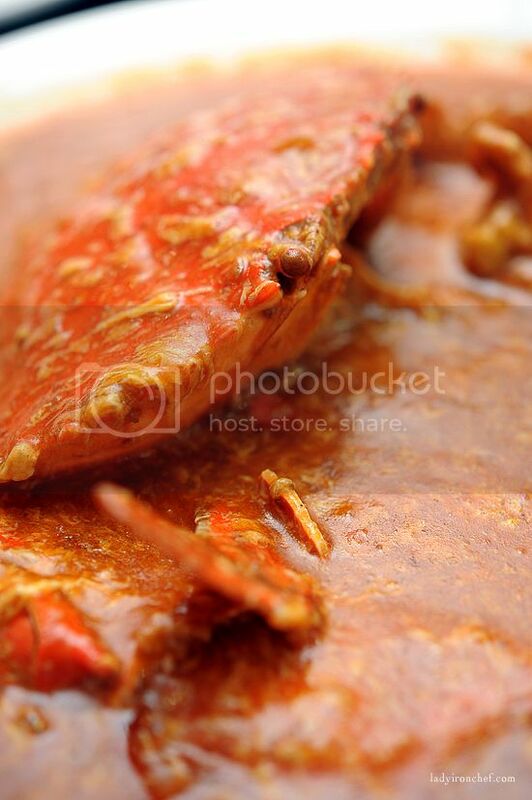 Without a doubt, Chili Crab is the face and ambassador of the Singapore food scene, and No Signboard has the best chili crab in Singapore – because I like them. And no, we are not going to start the controversial debate on ‘where is the best chili crab in Singapore’. Whichever crab you like, is the best crab. If you have hang around for long enough, you’d know that I’m not a big fan of steamboat, so it’s always an once-a-year thing for Chinese New Year reunion dinner. Most reputable fine-dining Chinese restaurants are probably fully booked by now; so instead of having steamboat, how about Seafood for Chinese New Year? Sounds like a plan to me. Oh wow, I am sitting here drooling… Everything looks great! 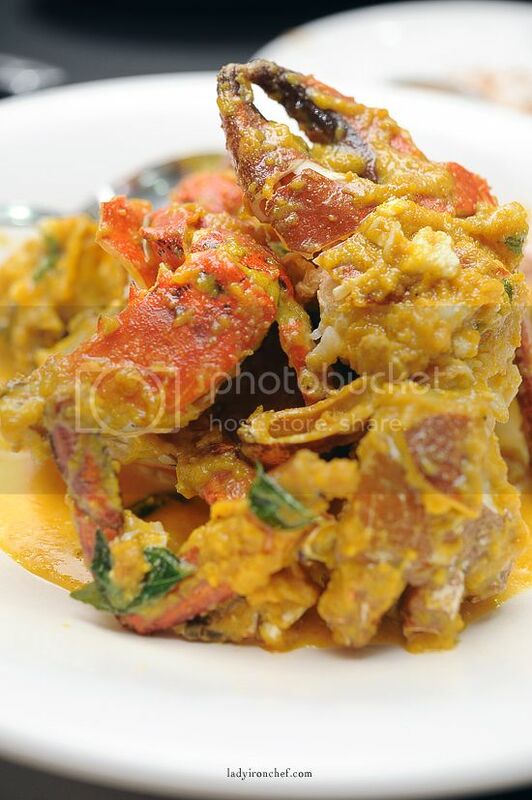 The salted egg yolk crab looks incredible. Yes, Brad … I know all about your mantou fetish!!! Daammmmnnnnn!!! now I want some crab!!! I can’t wait till May now!! May come quick soon! WOW, that chili crab looks delicious and the prawns too. You just ate them whole? Last time I had prawns, one of my friends was eating the tail bit, and told me it’s nice (just crunchy) so I tried it and it wasn’t as bad as I thought – but I couldn’t eat the head – isn’t there sharp bits around the head? sorry, WORST CHILLI CRAB! looked terrible, and tasted even worse. THe whole meal, including what i had was really ordinary, and overpriced. Dont waste your money, McDonalds wold have been better. I’ve heard of if, but haven’t give it a try. It looks super delicious from the picture. The salted egg crabs were the BEST. THINGS. EVAAAAAAAAAAA! I like your new zhao pai. You shld try eng seng.. the crabs there are not too bad though the ambience is nothing to shout abt. For crab bee hoon, Melban is good! Thanks for taking us here, it was AWESOME. Totally agree with Valerie, the salted egg was my favourite . I am happy that I have FINALLY tried chili mud crab, that was my 5th trip to Singapore. hey Brad.. Your photos made each of the dishes look 100 times better. Thank you for being such a lovely host, I had a blast. Drooling over crabs. Shirin: hee looks like our list just gets longer and longer, there’s seafood feast now! Sook: Drooling is a good thing, but after the drooling, you must go and have some good food okay? The Little Teochew: Fetish? You are making me blush hee. Don’t expose my secret to everyone! ciki: Aww.. you are too nice! katie: Other than the head, i ate it whole. it’s so crispy, just swallow the whole thing. 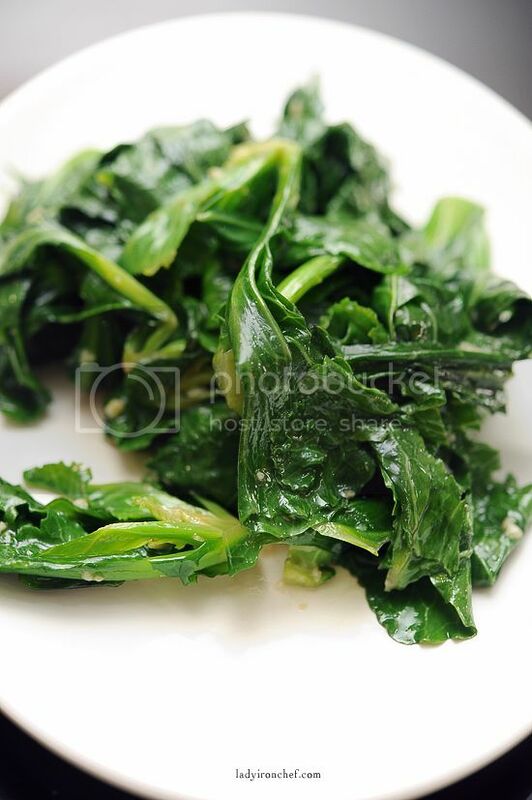 Angeline: It’s very crispy, why not? Cathie: Hello there, sorry to hear abt yr bad experience. Where’s yr favorite place for crab? emily: haha yeah mantou not very photogenic so i didn’t take any photos of them. Besides, i can’t wait to eat them! All that salted egg yolk… I can die happy now, hehe. Simon: We have so many good chili crabs over here, be sure to drop by soon! I miss CHILLI CRAB and CEREAL PRAWNS and KANG KONG! shayna: haha don’t miss it too much, enjoy all the nice food you have over there. Yeah CNY was great, hope you are doing well there! It’s a pity you didn’t try their white pepper crab it’s must try at least once if you at No sign board. For good local food, I strongly recommend my friends to go Mei ling street food center and try Ah Pang Steamboat. The stall owner was a formal chef from famous restaurant and has operating food stall for more than 40 years. The soup is great and the ingredients are very fresh. Average $8 to $9 for 4 pax steamboat meal. Great for friends gathering and family dinner. Their Zhi Zhar seafood is mouth watering. Not many restaurant uses dried scallop for stir fried vegetables. Must also try their steam Asan fish/fish head, clay pot red rice wine chicken soup, pork rip king and prawn paste chicken. 159 mei chin rd, 02-21. 64768158. Closed on Tue & Wed.